⬅ Why Does God Give Us Crowns? The results will be endless. I’m sure you will find a lot of helpful advice in these Christian books about singleness. However, most of these Christian books about being single focus on one aspect of singleness: your relationship with God, godly dating, finding contentment as a Christian single, how to find a Christian spouse, and other such topics. I believe the Ultimate Guide to Christian Singleness is so special because it covers nearly every common question asked about singleness. I get right to the point in these thirty chapters. I don’t waste time with long stories. And I give you extremely practical steps to take in each of the four stages most Christian singles go through. It’s great for small group Bible studies or for individuals too. If you want answers, this book on Christian singleness was written for you. Below is the full description. I hope you enjoy it. 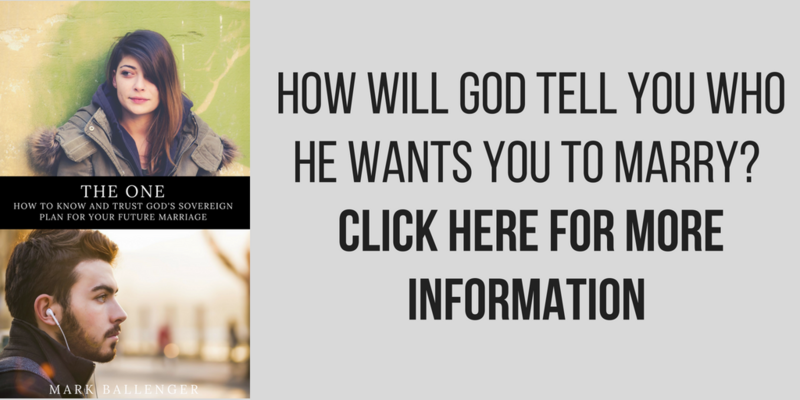 If you have any questions, please don’t hesitate to email me at MarkBallenger@ApplyGodsWord.com. 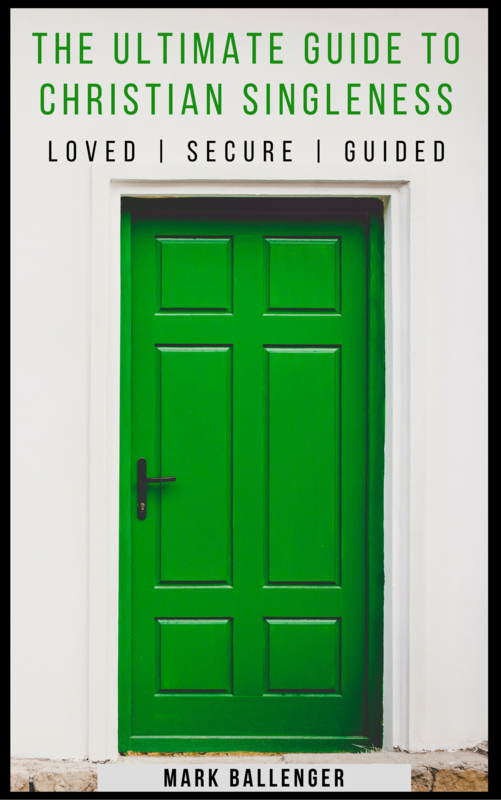 Hoping you find the love, security, and guidance you need during your season of Christian singleness. Christian singleness brings so many unknowns. Am I called to a life of singleness? How do I know if God wants me to be married one day? Is God punishing me with singleness because of my past sins? How can I glorify God during my season of Christian singleness? How can I find a Christian spouse? Am I good enough for someone to love me? Along with all the unknowns come intense emotions. It can feel like a punch in the gut every time you see another friend make an engagement announcement on social media. Your loneliness can be unbearable after a bad dating breakup. Once you start counting the months (or years) since you’ve been on your last date, it can bring all kinds of doubts about yourself. Or perhaps you’ve never been in a serious relationship, which can make dating seem like a foreign planet best left unexplored. You just want guidance. You are willing to do whatever God asks, but you first just want to know for sure what he is actually saying to you. If you can identify with these questions and feelings, you are not alone. This book is for you. You can read it cover to cover, but it’s also been designed like a survival manual or a cookbook. Just go to the table of contents, pick one of the thirty different topics about singleness, and start getting answers right away. Along with each chapter comes study questions designed to help you go even deeper with all this rich biblical content about Christian singleness. You can use these questions in a small group Bible study, in a one-on-one setting, or just by yourself during your personal devotional time. This book is divided into four sections: 1. A Biblical Foundation of Christian Singleness, 2. How to Thrive During Your Season of Singleness, 3. Preparing Your Heart for Your Future, 4. How to Find a Christian Spouse. The content of this book is not the same old stuff you’ve heard hundreds of times before. The chapters are short and to the point. Each chapter is rooted in Scripture but are also extremely practical, giving you clear steps take. And if your question is not answered in this guide, by purchasing this book you also get free access to submit questions to the author (Mark Ballenger). If you want to glorify God during your season of singleness, if you want guidance, and if you want to feel secure that you are actually doing what God is asking you to do, then The Ultimate Guide to Christian Singleness might be just the book you’ve been looking for. Chapter 1: What Does the Bible Say About Singleness? Chapter 4: Why Does God Wait to Bless Us? Chapter 6: Are You Dating or Married to God? Chapter 13: What Is God’s Purpose for You? Chapter 19: What Does the Bible Say About Missionary Dating? Click here to purchase securely from Amazon.